Back in 1989, game designer Jordan Mechner created the first Prince of Persia game. It became a hit due to its fluid and beautiful animations, cool 2D platforming action and great music and atmosphere. This game also had an intriguing premise and story, involving a race against time to rescue a princess from the clutches of the evil Vizier Jaffar, who would kill her in an hour unless she chose to marry her. The swordfights were a highlight too, but the 60 minute time limit coupled with the fact the game looks pretty dated by today’s standards means this is not likely to appeal to gamers in its original incarnation. 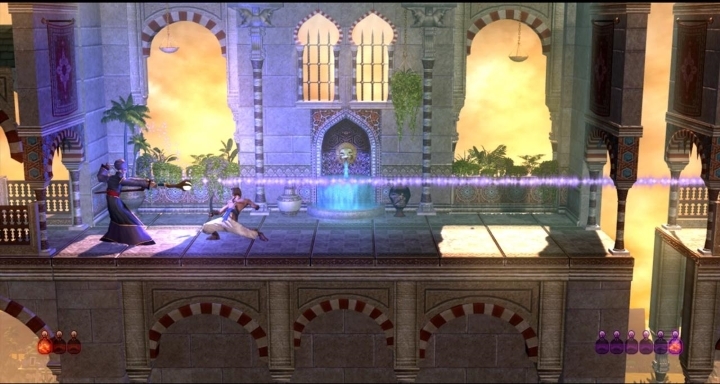 Thankfully, a good remastered version of the original game, titled Prince of Persia Classic, was released on Xbox Live Arcade in 2007. Starcraft II Is a Hit on PC, but Will We See the Game on Consoles?